Ahhh, October. This month was a billion kajillion times better than last month. Lydia’s sleep has been consistently beautiful since we night-weaned her at the beginning of the month. I can’t say whether night-weaning caused her to sleep better, but I’m sure there’s a correlation between the two. Anyway, she’s actually been sleeping in her own room for the last two weeks, and the transition was completely natural and stress-free. She usually joins us in our bed in the early morning to sleep for an hour or two, and those cuddles are just precious. Thank you, Jesus, for restful nights. 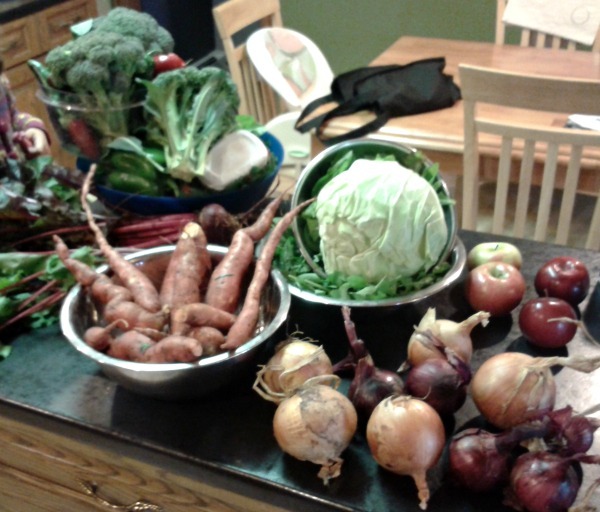 We had our annual hog-harvest earlier this month, and I’m still dragging piles of produce home from my parents’ garden every time I stop by there. 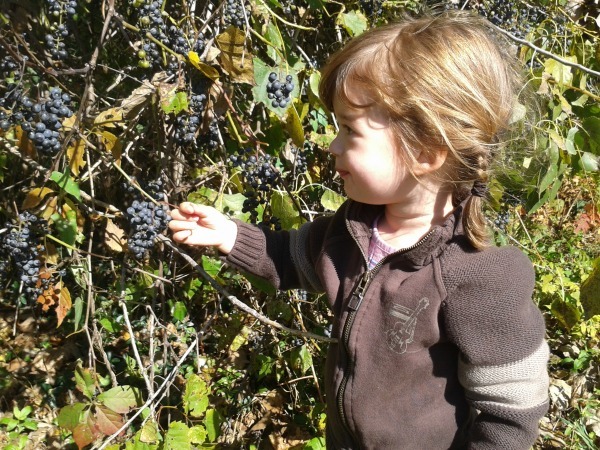 Lydia and I have had some lovely autumn walks, picking wild grapes along the old railroad track by our house. So it’s been good. Otherwise, it was mostly parenting books. I promise that after this month I will move on to a wider range of topics. I mentioned this book in my night-weaning post, but I had to highlight it again. This book was instrumental in helping Lydia sleep better. It’s a lovely book, full of wonderful, gentle ideas to help everyone get some rest. I want to point out that the title is somewhat misleading: it doesn’t offer a single solution for sleep problems. Instead, it offers a grand selection of solutions, tips, and ideas for improving sleep. That’s one of the things I loved about this book. Moreover, Pantley is warm and understanding and full of experience, so I found her so encouraging and instantly trustworthy. I’ve been a fan of Dr. Markham and her Aha! Parenting website for a while, so I just had to check out her new book when I spotted it at our library. It totally lived up to my high expectations. I don’t know Markham’s religious background, but her teachings are just SO JESUS. Her main lessons? Always choose love. Work on yourself before trying to work on your child. Recognize that you are part of the problem. And my favourite: You can make the world a better place by learning to regulate yourself — by cultivating patience, kindness, compassion, etc. Doesn’t that sound like our Lord? This book is intensely practical. While Alfie Kohn’s Unconditional Parenting first opened my eyes to the idea non-punitive parenting, Markham helps you put that into practice by offering tips and game plans. (Lots of bullet-point lists. That may or may not be your thing.) Definitely a book for my personal library. You guys: AUDIO BOOKS!! They’re the answer to everything!! I wrote last month about raising a low-media toddler. We still aren’t doing TV or movies for Lydia, but found a fantastic compromise when I decided to try some book-and-CD combos from the library. BIG HIT!! I can still get some of that precious alone time here and there that TV offers without the troubling impact of screens on such a young, developing brain. In the above photo she’s enjoying Bear Snores On (Karma Wilson), which is a charming story with beautiful illustrations and fabulously lyrical words. Lydia can recite the entire thing by heart. Love it. She has also really enjoyed Curious George Takes a Job (H. A. Rey), which is cute and fun and a whole 15 minutes long. The only problem is that Lydia gets really upset and cries out every time they get to the part where George breaks his leg (Oh 1950s children’s lit). She gets over it though. We spontaneously decided to re-watch Beauty and the Beast as a family one night. What a FABULOUS MOVIE. Such a moving story. The characters, the music. GASTON. (“I’m especially good at expectorating…”). So much to love. Just goes to show that you don’t need fancy technology and special effects to tell a memorable story. Twenty-one years later, this is still one of the loveliest movies ever. We also rented Oblivion (yes, on DVD, from a movie-rental store) one evening when my mom offered to take Lydia. Interesting premise, lots of surprises, nifty plot twists, impressive special effects. But it still felt kind of hollow and I felt mostly sad at the end. I don’t think I was supposed to. Still enjoying Parks and Rec. And I don’t know what it is, but we’re finding this season of Big Bang Theory to be one of the funniest yet. Every episode is full of laughs. I just LOVE Stuart and get excited every time he gets included in a scene. Anyone else with me? So I went a little overboard making kombucha. I just love the stuff so much and I was eager to try so many different flavours. I’ve now figured out that about 1 1/2 gallons a week is plenty (not three), and my favourite flavour is raspberry-ginger. (I’m hoping to write a post on how I make kombucha, BTW). My parents’ garden still has piles of jalepenos on the plants, so I took the opportunity to make jalapeno poppers: just halve and seed; fill with cream cheese; top with crispy bacon; and bake at 350 for about 20 minutes. Holy yum. I’ve also been making lots of this roasted eggplant spread with the last of the eggplants from the garden. So simple and absolutely delicious. We use it on toasty baguette slices. Thanks for listening! What have YOU been into this month? Note: This post contains affiliate links. Meaning if you click through and buy something, you help support this site! Stuart!! he’s such a great character. I’ve been a slacker missing the BBT episodes this season, but the ones I’ve seen are hilarious. I’m hoping a big gorgeous older woman will sweep him off his feet! SO glad you are all sleeping well; it changes everything when you are well rested (or sadly, NOT well rested). I’d be interested in a kombucha post; I’ve heard of it and have a general idea of what it is, but haven’t ever tried it or made it. 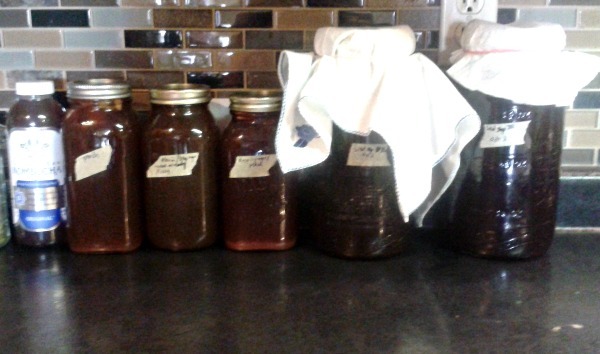 I’ve been canning like mad this year; right now it’s all apples – all the time! But it’s almost done, just a bit more sauce and a billion lbs of apples to dry, and then some quince paste (membrillo) to make and WHEW! I survived another year and have a full larder to show for it. BBT and Parks and Rec are big favorites at my house! Love them! You are so brave with making Kombucha. It intimidates me, but maybe I’ll give it a whirl! :) Love reading through all of these What I’m Into links :) Have a great November! Wild grapes! How wonderful. My parents have wild grapes on their property but they always get eaten by the wildlife. 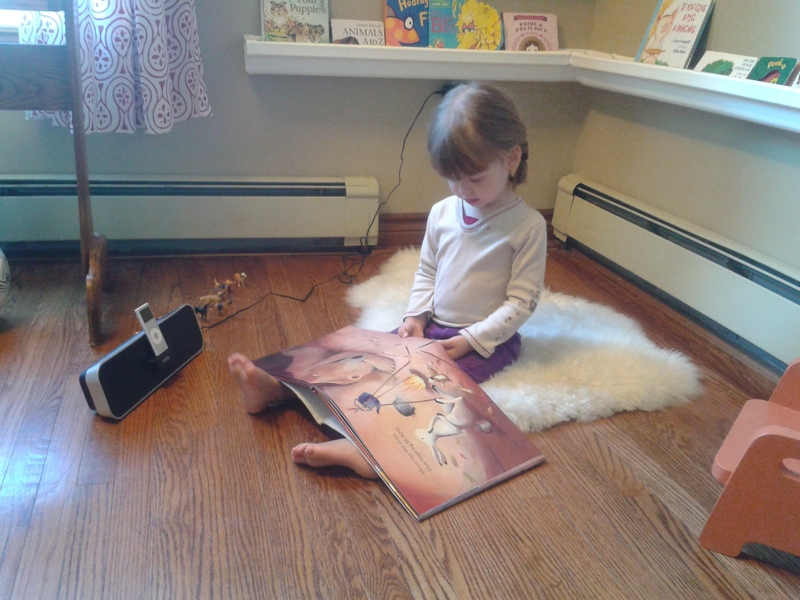 I love that photo of Lydia reading on her little sheepskin rug! I loved talking books when I was younger. 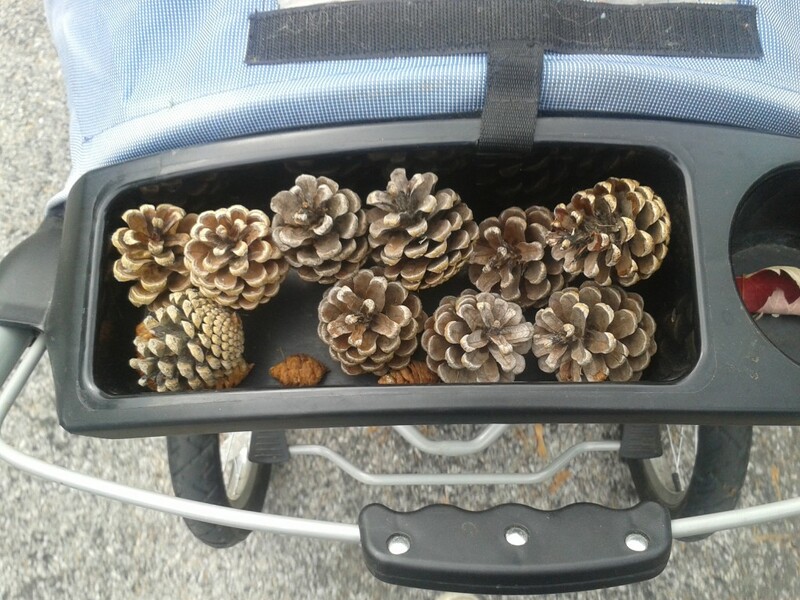 My parents used them on long journeys in the car (my mum’s parents were 8+ hours away in Scotland) and they kept us quiet for hours. 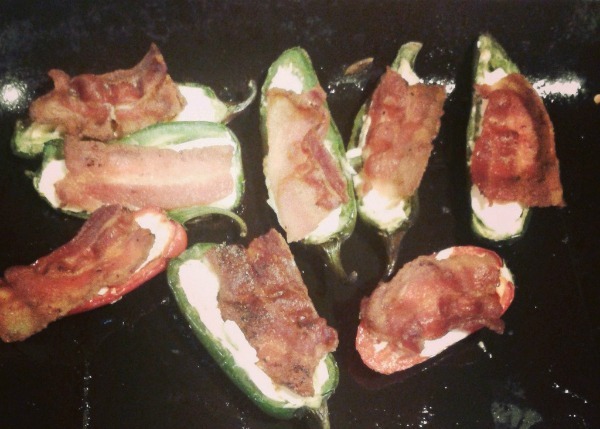 Those jalapeno poppers look amazing. I think Rasmus would LOVE them but it’s pretty hard to buy them fresh over here. And YEY for roast eggplant spread! I just started brewing Kombucha, and I’d love to see a post on your process! I started doing kefir too and had my first smoothie made with homemade kefir for breakfast today! I was trying to figure out what that was a picture of up top…. got it! Beauty and the Beast is still one of my favorites! Please, please do write the kombucha post. I don’t entirely understand what it is but do know it’s supposed to be good for us. I’ll probably be trying some soon, though making my own will depend on whether or not I like it. I’ve made that roasted eggplant dip a ton, too! So tasty. Oh I’m sure you’ll like it. :) I went through the same thought process, and now I’m addicted. I would love to have your Kombucha recipe! I completely agree about Big Bang! It’s amazing. Some friends of mine are huge into making their own kombucha and I still don’t entirely get it :) explanation would totally be welcome! Amanda recently posted..What is a “weekend”?